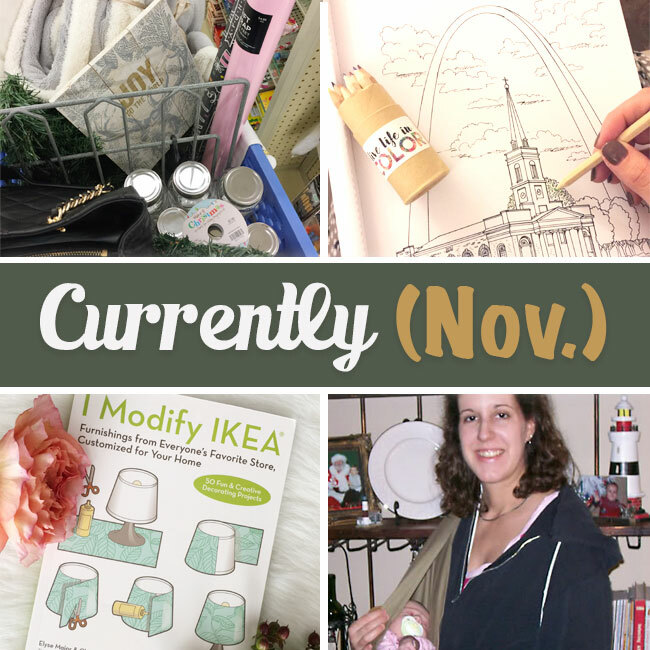 Every month I join Carrie of Curly Craft Mom in posting a “Currently” post. 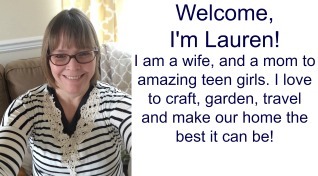 In these posts, I go beyond my usual decorating, craft and recipe topics and share what I am currently excited about and what’s going on in my life. 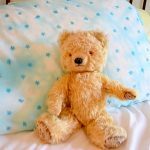 I’ve seen “Currently” posts by other bloggers, too, and it’s a lot of fun to read what others have been up to. 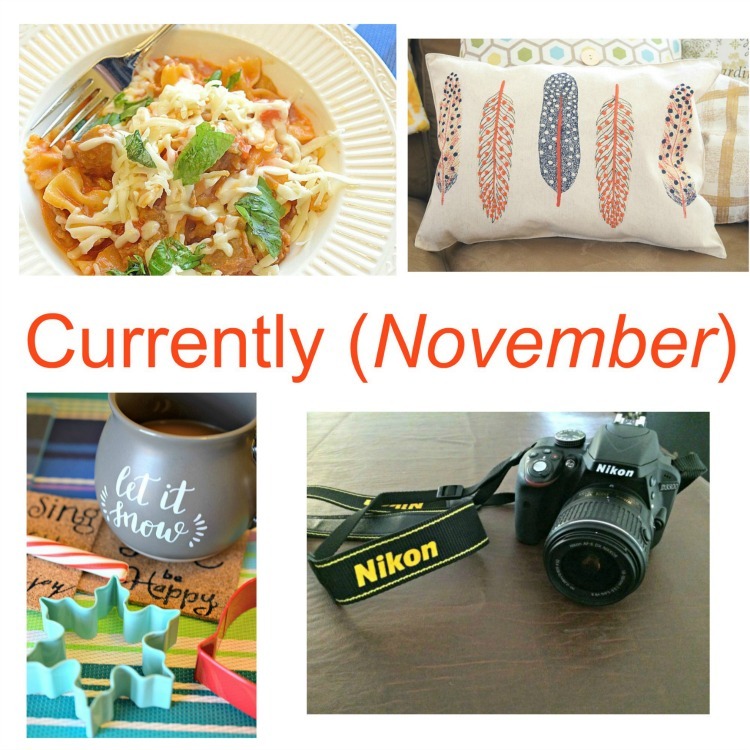 If you published a “Currently” post this month, please share in the comments! I don’t know about you, but I feel like the months have been speeding by. I only have just gotten used to the idea of it being fall already! 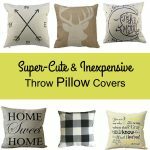 I wanted to make fall pillows, so I decided I needed to make them quickly — Thanksgiving is already this week! 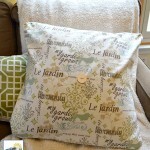 Up until last week, I still had the spring pillows I had made in my living room. 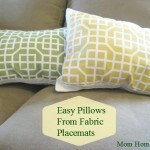 I love making pillows from inexpensive non-traditional items — I’ve made pillows from cloth napkins and from fabric placemats. For the complete (super easy!) 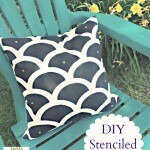 insturctions on how I made my new pillows, check out my post on the very first pillows that I made for my home’s living room sofa. For the photos for my blog, I take nearly all the photos with my Nikon D3300 DSLR camera. I was very distraught a few weeks ago when a piece of a memory card broke off in the memory card reader of my new camera and got stuck there! I took the camera to a local camera shop, but the shop couldn’t fix it. The shop recommended a camera store an hour away from my home. I took the camera there about two weeks ago, and just one week later, I had my camera back! The fix was a bit expensive — the memory card reader had to be replaced, but I am very happy to have my camera back! I was also pleased that the shop was able to retrieve all the photos from my broken memory card. Lately, I’ve been dowloading photos from my camera via cable. I’m a bit nervous about inserting and removing a memory card from my camera! LOL. My family and I have been getting ready for our Thanksgiving celebration. For the past few years, we’ve been lucky enough to spend our Thanksgiving with some very special friends of ours. We’ve been friends for more than 20 years, and now our kids are friends, too! My family is looking forward to geting together with our friends that are like family! For our get together, I am hoping to bake an apple pie for the very first time. We will see how that goes! The temperatures have been dropping here in New Jersey! When the weather is cold, I really like to make comfort foods for my family for dinner. 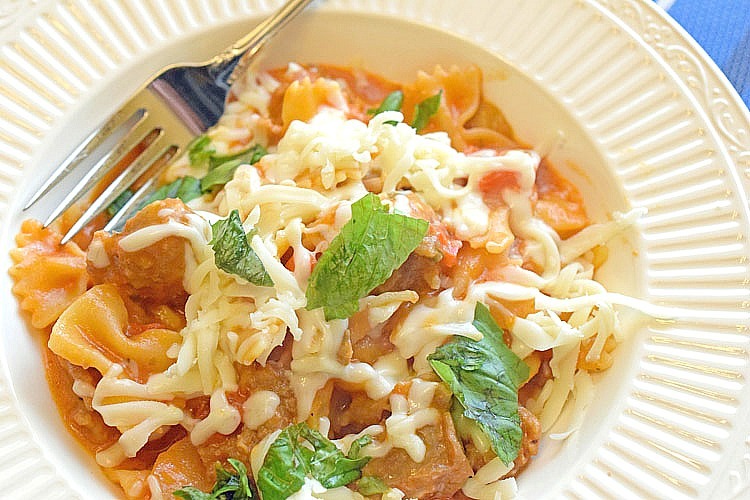 One of our favorite dishes recently has been my one-pot cheesey pasta and sausage dish. I have also been making a lot of soups in the slow cooker. I will be sharing those recipes here on the blog soon! Normally I don’t decorate my home for Christmas until after Thanksgiving, but this year, I started early! One of the first places I decorated for the Christmas holiday is my kitchen’s coffee cart. I picked up some new coffee and flavored creamers, some fun holiday mugs and some peppermint sticks to flavor our coffee and stir our coffee with. 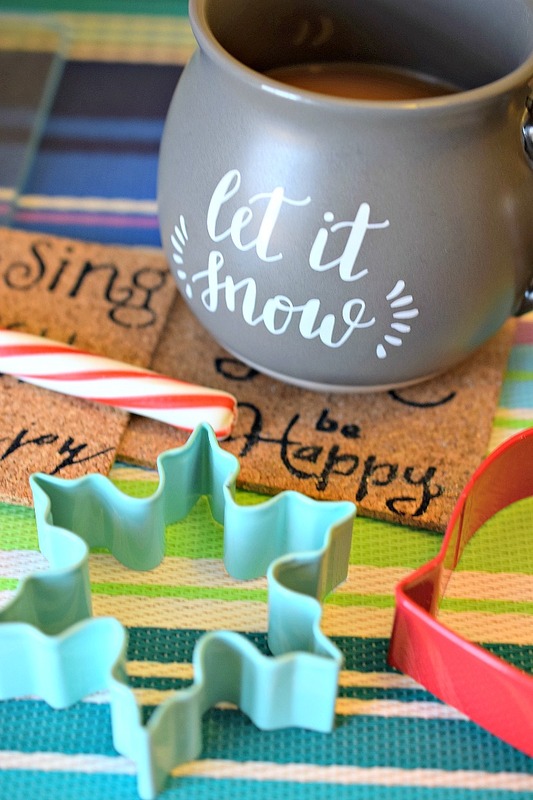 My teens have really been loving our new holiday coffee cart decor and our new Christmas mugs! My kids are also excited because this year we got a second Christmas tree! We usually only put a tree up in our family room, but this year, we put up a second, totally different themed tree in our living room! I am loving our new tree — I will be sharing the details early next week on the blog, so stay tuned! 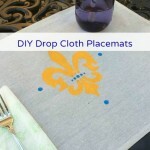 Be sure to visit the Currently post by my friend, Carrie of Curly Crafty Mom! I can’t wait to see your new Christmas tree! I have been seeing a lot of people post ‘Friendsgiving’ photos! I never heard of it really until this year, but I guess its a Thanksgiving get-together, but with just friends. I am so glad you got that entire camera situation resolved easily!! Thanks, Carrie! I hope you enjoyed your Thanksgiving — it sounds like you planned a great one!